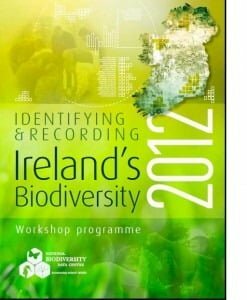 Ireland’s National Biodiversity Data Centre has just announced it’s programme of workshops for the coming year. The full programme is available for download in PDF format from the Centre’s website by following the link below. This year the centre is offering a more extensive range of workshops with a broader geographic range across the country. So if you’d like to bolster your expertise on identifying and recording species, and play your part in monitoring and preserving Ireland’s precious Biodiversity download the programme and check out a workshop near you.